The Jefa Alloy Tiller Lever and Autopilot linear drive have arrived and look to be quality products. 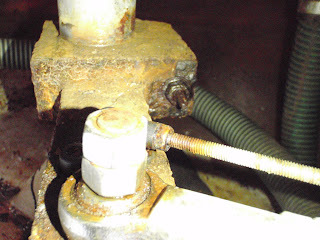 The lever will replace the mild steel lever that was once epoxy coated but is now rusting away. 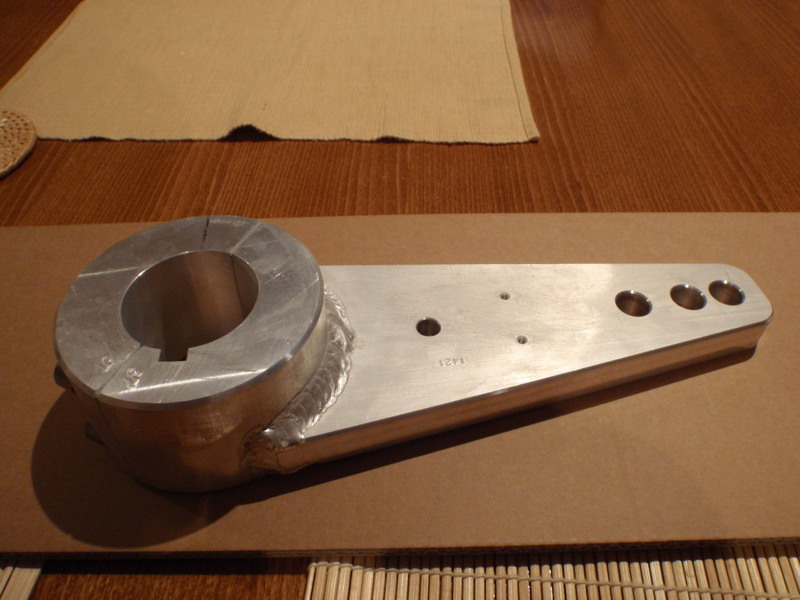 The linear drive will provide better thrust and is far more robust than a wheel pilot belt drive. Best part is I can leave the wiring and fittings in place for the wheel drive whilst removing the drive mechanism so i can readily re-install if the primary linear drive ever craps itself. Third redundancy is the Hydrovane and fourth the Sea Squid! 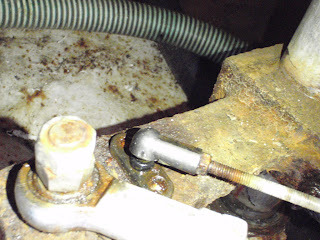 The original 1983 rusted steel tiller lever showing the tie rod end and rudder reference take-off. The flash new Jefa Hi Tensile Alloy Tiller lever, custom machined at no extra cost. Great service from Jefa so I bought one of their Linear drives below! The arm to the left is telescopic whilst the one to the right is fixed. The tierod pins all match the new arm so installation should be reasonably straight forward once dimensions are calculated. 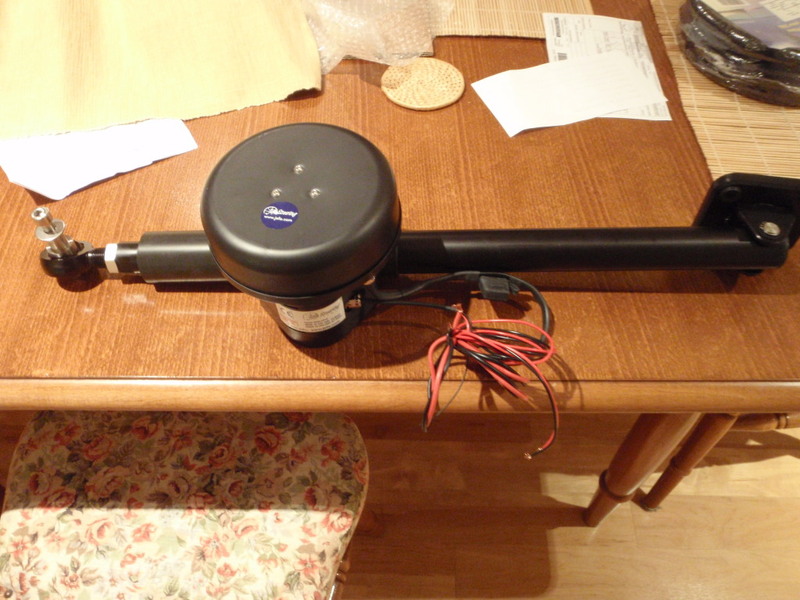 My KISS HF counterpoise antenna ground arrived last week. This system replaces the need to run copper foil to a Dyna Plate though bolted to the hull and constantly immersed in seawater. Tuned lengths of wire run inside a 1" plastic tube and are connected to the auto antenna tuner and then run forward down both sides of the hull, reflecting the backstay HF antenna. Reports indicate the system works extremely well and exceeds performance of the ground plate system.......we shall see once the HF Radio has been procured and installed. I did find an old SEA HF (Oz compliant) on eBay, but went to dinner and could not get the last bid down in time.....it went for $580.00! (curry was too good to leave!). Probably fortunate really, as I knew the Offshore Racing Rules would require me to eventually have a DSC capable HF, but no one could tell me what year this would come into effect, so the SEA was a good, cheap stop-gap solution. Well wouldn't you know.....Yachting Australia released new info the next day! All new installations post 01 Jul 2014 must be DSC capable and all yachts must have HF DSC by 01 Jul 2017. SATPHONE regs were also introduced and are welcome, as new technology can provide excellent SAT coverage and text messaging at minimal cost. The Notice of Race can now state if a SATPHONE can be used in lieu of HF. I prefer if every vessel can hear me if I am in distress so I will use HF and when offsore back up with an Iridium SATPHONE.